Jewel is a high-end, top-notch solution for your VIP wedding or corporate event! Jewel is a 10 to 15-piece band that includes a rhythm section, a full horn section, two violinists, percussions, 5 singers, and a DJ. You can also add Stylish Dancers and Background singers to enhance your event and make it even more chic and contemporary.With a classy show of great international music, different costumes, stage design, and amazing lighting- Jewel is the real deal and will perfect any upscale event. 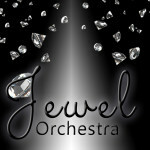 Jewel will bring all your senses into one to create a full experience of rhythm, energy, and pure joy! Jewel’s repertoire is versatile and includes 10 different languages, a killer Hora (Jewish Folk Dancing) , a great Top 40 selection and a great Persian, Russian, and Israeli selection! We can play it all! From big band tunes to Arabic, from Opera to Twist, from Show Tunes to R&B and Rap! You name it- we will play it! Jewel can come in different variations to fit your custom-made event!